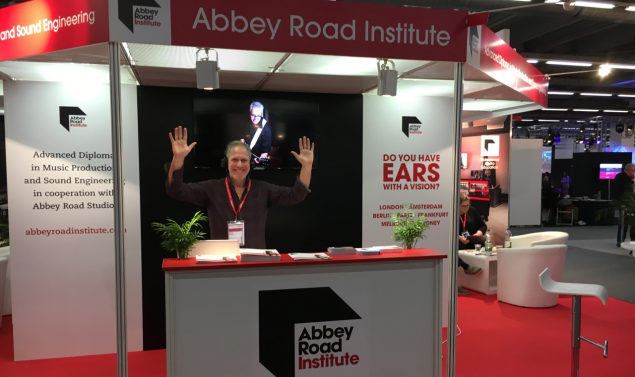 Abbey Road Institute, the educational arm of the world famous Abbey Road Studios in London, have invited Peter to present numerous seminars and workshops over the past year. 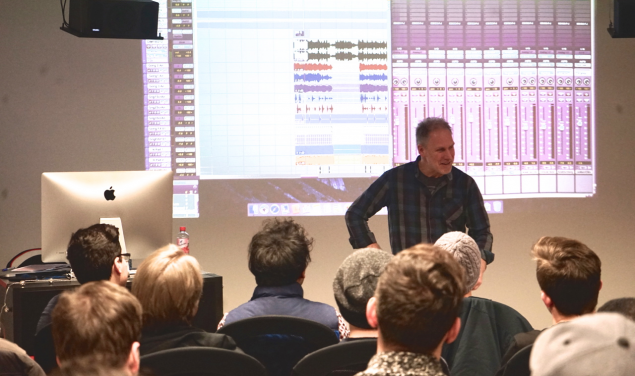 The 4 – 5 hour seminars cover the central themes of Music Production, Mixing and Recording. Peter examines and shares his philosophy and technique on how to get that ‘special something’ out of each production. 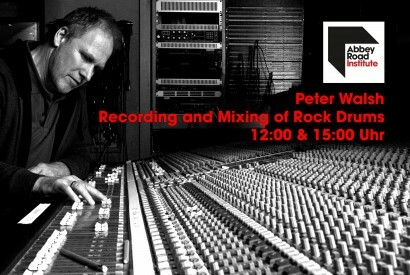 Sharing experiences and anecdotes from a career spanning over 35 years, Peter discusses his approach to the art of music production and sound engineering. song arrangement, dynamic timelines, forced work flow, EQ processing, effects and mixing tips. The art of recording drums split into 4 easy to follow steps. From session preparation and pre production, through to choice of studio, equipment specification, microphones and mic placement and finally equalisation and dynamic processing, Peter sheds light on one of the most important recording processes of any production. 20/05/2016 – Abbey Road Institute Mixing Workshop. – Use of reverbs, delays, and modulation effects to create depth and dimension. – Use of Equalisation to create definition and focus. – Applications of dynamic processing including limiting, compression, expansion and gating. 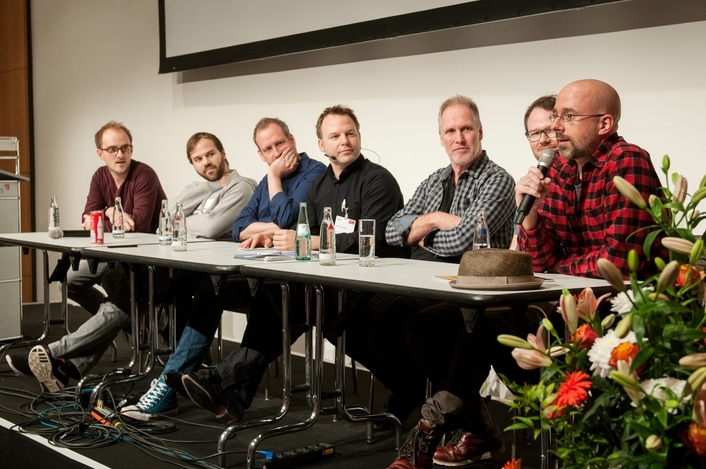 The Tonmeistertagung is a top-class expert meeting for audio professionals, producers, artists, vendors, suppliers, developers, and scientists. 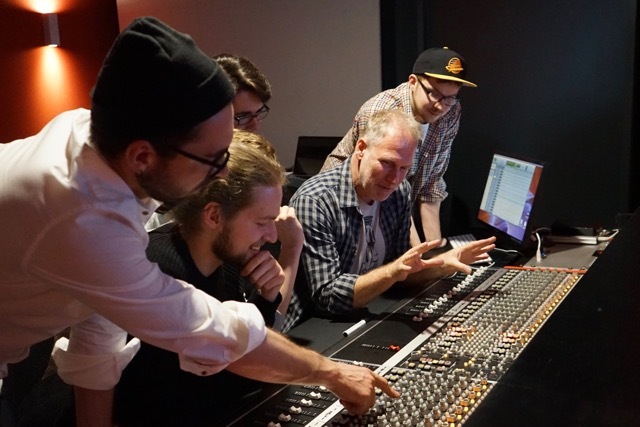 It provides a valuable impetus to professional audio experts from all sectors of the industry, as well as an overview of the latest trends in product development, research and application. 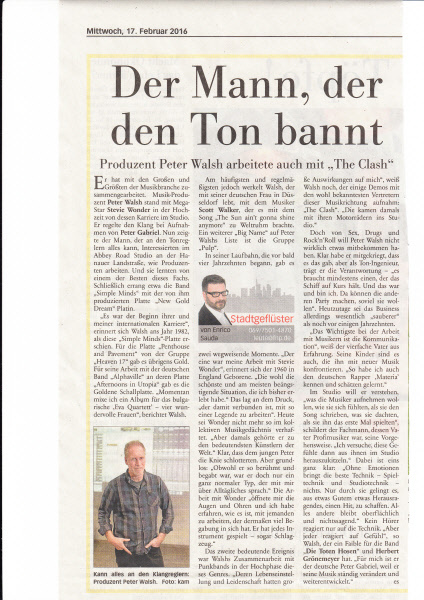 The Tonmeistertagung builds primarily on the quality and authenticity of the information. It conveys first-hand industry information in personal talks. Qualified contact persons available for questions on location, as well as the possibility to exchange ideas with colleagues on practical issues, make it indispensable as a source of knowledge. Areas covered include broadcasting, film, video, recording production as well as networked audio, interactive media, distribution and program exchange, stage and events, production of hardware and software, research and development, and education and training. Verband Deutscher Tonmeister (VDT) is the German Association of Sound Engineers, a meeting place for audio professionals who work in the arts, media and communication with the desire to preserve and increase the aesthetic and technical quality of their products. The association represents membership interests in a professional, social and business context, and is open to the global community and a broad range of professions. Its over 2 000 members include sound professionals from the recording production, radio broadcast, film, television, multimedia and theatre industries, as well as representatives from the media, equipment and event industries, research and development, and education. Students comprise about 10% of the membership. Live Mix Engineer for the Peter Gabriel ‘Secret World Tour’. Producer – Recording and Mix Engineer – Alphaville ‘Afternoons In Utopia’ Gold disc Germany & France.